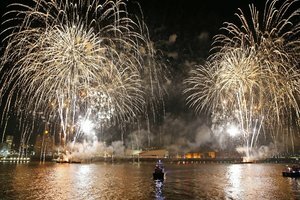 The River of Light 2017 was the largest firework display in the country for the Guy Fawkes season. 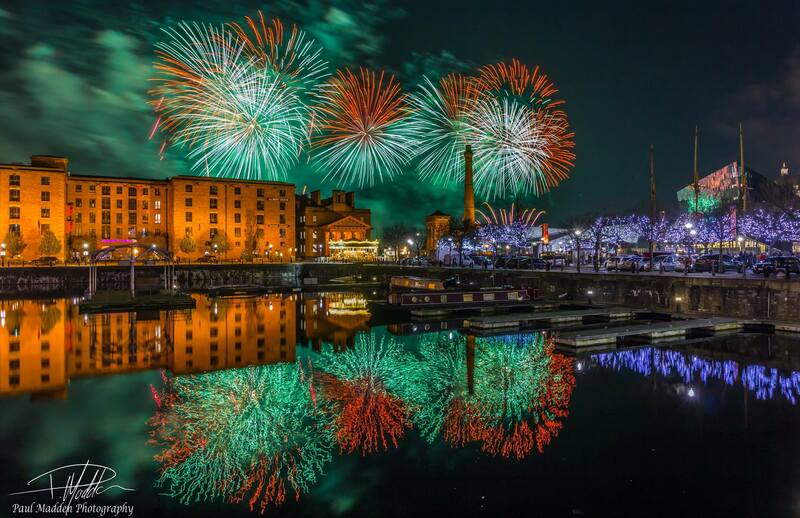 Liverpool City Council was keen to build on the previous year’s event and deliver a show that would mesmerise the 90,000 strong audience. 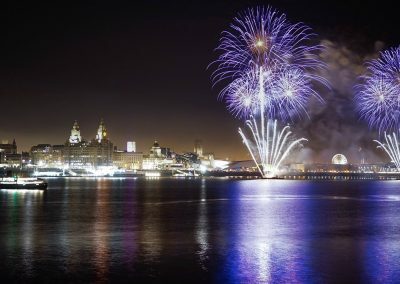 We fired from two barges on the River Mersey at the world famous waterfront from Pier Head, Princes Street and St Georges Dock while the Wirral display was launched in New Brighton. The challenge was to create a high impact aerial show that would be seen by the large dispersed audience and reflect the identity of Liverpool. In order to achieve this we designed a pyromusical to a custom produced soundtrack taking a selection of songs from the rich heritage the City has to offer. In order to deliver a display of this size we had to source two large barges that would be big enough to set up the quantity of fireworks required, as well as finding the resources and crew to produce a show of this scale on one of busiest days of our year. At the beginning of 2017 we delivered three large national celebrations within 24 hours; with London New Year’s Eve, Edinburgh’s Hogmanay and Hull City of Culture. The huge quantity of mortar tubes, racks and firing equipment along with experienced crew for these three displays allowed us comfortably deliver the River of Light on top of our other commitments. 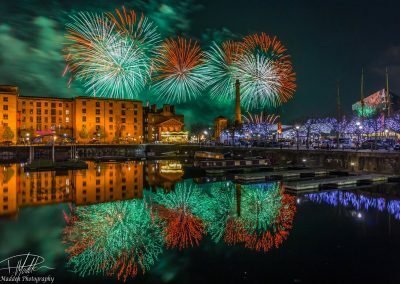 The City has seen some very large displays in its time from the Liverpool 800 Birthday celebrations to the European City of Culture, but from the rave reviews and feedback we have received, the River of Light 2017 display surpassed them all and has been widely regarded as a stunning success. Don’t take our word for it; the headlines in the Liverpool Echo the next day read “100 times better than last year”. 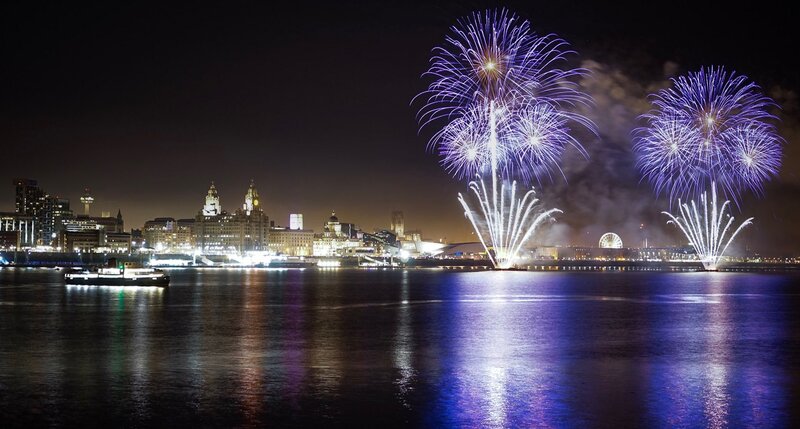 We would like to thank Liverpool City Council, Culture Liverpool and Wirral Council along with their partner The LECCY for putting their faith in Titanium Fireworks to deliver a world class display for the people of Liverpool and the Wirral. © 2018. Titanium Fireworks. All Rights Reserved.